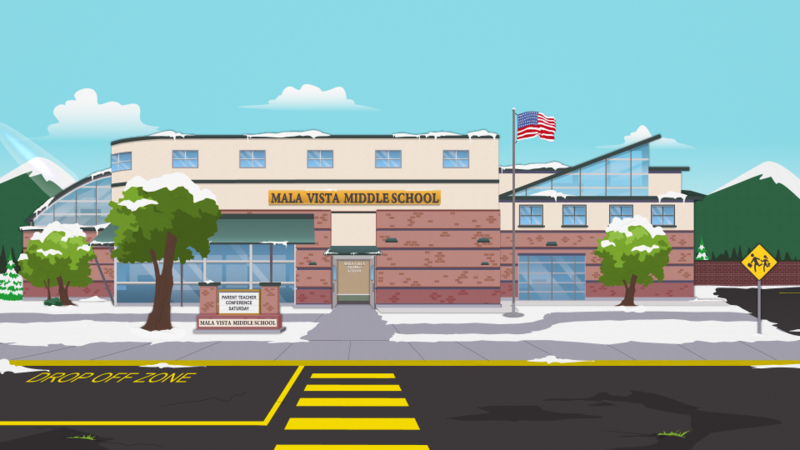 Mala Vista is a fictional middle school shown in the Season 22 episode Dead Kids as the scene of a school shooting. Randy Marsh is at the scene, asking a doctor about menopause. Meanwhile, ambulances, police cars, news media, and SWAT teams are shown at the school.